This is the summary of consumer reviews for Black & Decker DCM18S Brew 'n Go Personal Coffeemaker with Travel Mug. The BoolPool rating for this product is Good, with 4.00 stars, and the price range is $16.59-$24.99. 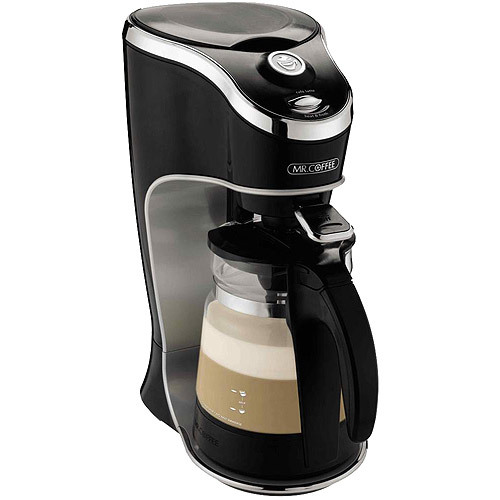 Black & Decker DCM18S Brew 'n Go is an ideal coffeemaker for an active, on-the-go lifestyle! Your coffee brews directly into a 15-oz. 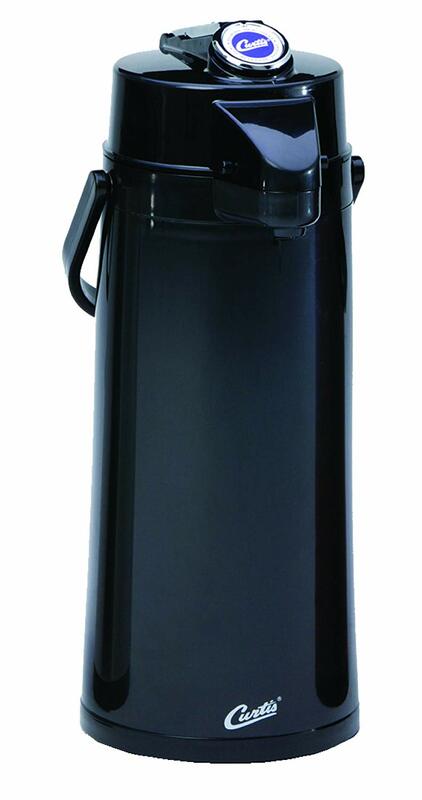 stainless steel thermal travel mug that fits most car cup holders. 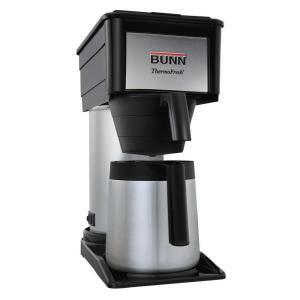 Convenient one-touch operation and useful features like a removable filter basket with included permanent filter makes your morning coffee ritual a breeze. It brews coffee really fast and travel mug keeps the coffee hot for long time. 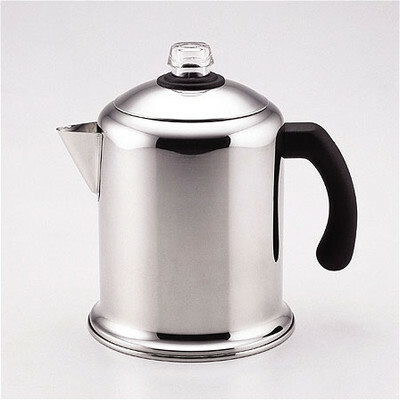 This coffeemaker can also be used to get hot water when making tea or hot chocolate. 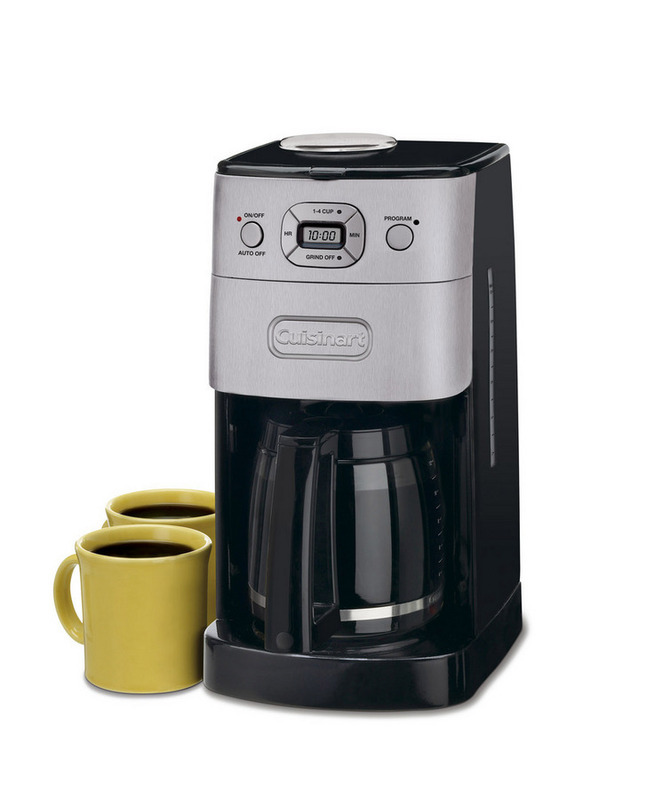 The cord storage and lighted On/Off Switch adds to the convenience of using Brew ‘n Go. Some users complain about the coffee grounds seeping in the coffee when it is brewed. Also the cup has a strong plastic smell and some users do not appreciate that. 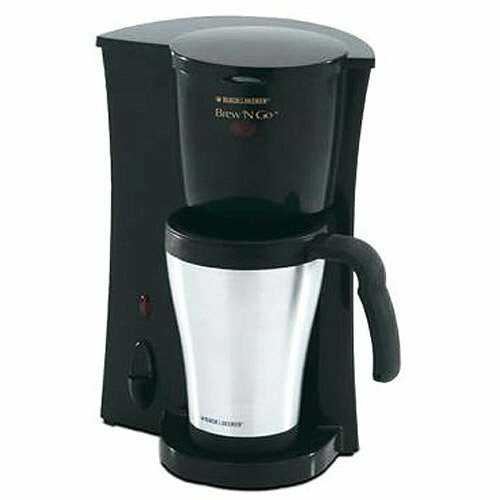 Overall, Black & Decker DCM18S Brew 'n Go Personal Coffeemaker with Travel Mug is a good personal coffeemaker and a perfect addition to your kitchen. 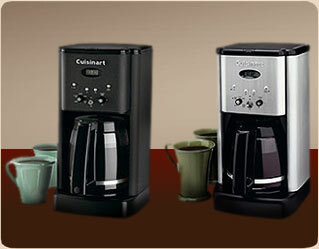 This 15 Oz coffee maker comes handy whenever you feel like to having a cup of coffee instantly. Cup keeps the coffee hot for a long time. The travel cup actually does fit into my vans cup holder. I brew both regular cups and large cups of coffee and use travel mugs or our everyday cups for this purpose. This little pot is perfect -- makes a single cup in 2 minutes or less. As long as you don't overflow the reservoir and your cup will fit under it, the cup will work. Perfect for that one person 'large' cup. Easy cleaning.....no filters to change. I wanted something fast, easy to use with a big enough cup for my morning coffee. I mainly use my Brew'n'Go now for hot water when making tea or hot chocolate. Poor cold water in the back, and steamy hot water comes out within 5-10 seconds. Then it started to leak water from the tube that brings hot water from the heating element to the drip head, back into the water reservoir...Great, it's under warranty. Before brewing my first cup of coffee, I washed all components, and ran hot water through a brew cycle. This product is fine for quick single servings, as there's no hot plate to keep your beverage warm. The coffee tastes great and is very hot. This coffeepot is barely OK. The cup has a really strong new plastic smell - I ran it through the dishwasher twice and keep soaping it in really hot water, but it still makes the coffee taste weird (I also keep running the coffee pot with plain water in case the cause is the maker as well). If you just want good hot water that doesn't taste like the microwave, then this's a good purchase. Assuming it was from manufacturing, I repeated the hot water brewing cycle. Before throwing out the water from the mug, I noticed an unpleasant hot plastic odor. To stop grounds from floating into the water resevoir, use drip or cone ground coffee. You end up with a cup of hot coffee that's filled with coffee grounds. Making sure to add the proper amount of coffee and keeping the permanent filter clean after each use, which is easily done, should prevent any problems with the grounds floating out of the filter into the water container. When I use about 2/3 or 3/4 a mug of water and 1 scoop (about 1 tablespoon) of grounds, I got a great tasting cup of coffee with no grounds. And yes, there are grounds in my cup of coffee. I like my coffee strong so I'd put in some exra coffee grounds but they splattered all over and cleaning the permanent filter was very messy. NOTE: I use fine ground coffee though - which means I get a stronger taste with less grounds. 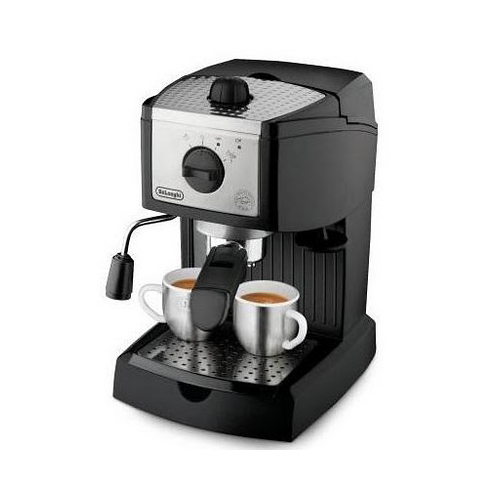 So don't buy this machine if you use finely ground coffee. No measuring cup is necessary as using the coffee mug itself to fill the water chamber works just fine. The coffee filter is very small (holds just enough for one cup) and the water tub is very small (again, only meant to hold enough to fill one coffee cup). - Drips when you move filter basket - just leave your cup under there for a little more previous coffee!. Recommend buying number 2 cone filters; less mess. Unfortunately, that means you'll grab your cup while the filter is still dripping. It's easy to clean with its permanent filter (rinse or throw in dishwasher), looks great in our contemporary kitchen in black and ususally he lets it fill up his ceramic coffee cup and not the portable one - just make sure your home mugs will fit: there's just a hair over 5 1/4" of vertical space for a mug ;-). I use a paper filter - Melitta # 1 filters ( also sold on amazon) fit this machine perfectly and make it even easier to maintain. - Coffee grounds frequently enter the water reservoir and seep between the permanent filter and the filter housing, which means even more effort cleaning the unit between brews. Anyway, if you like 1.5 cups of coffee in the morning, this maker will pay for itself in filters and electricty you save. - Comes with own reusable filter. It does have one of those permanent filter baskets, but as I'd leftover paper filters, I actually prefer using a paper filter as I can easily lift out the filter for cleaning. The coffeemaker can be used with a permanent filter or paper filters (I prefer using disposable unbleached paper filters to the wire basket filter, as it can be messy to clean from the coffee bean oil accumulations). 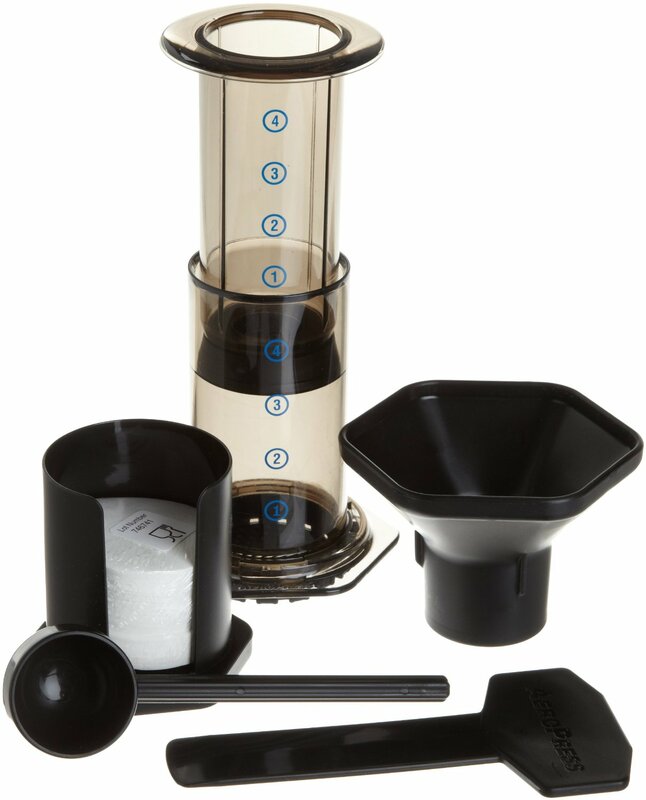 The permanent nylon filter basket is nice, but as another reviewer mentioned, the filter will allow some residue to slip through into your cup. I did try using a Melitta #1 paper filter instead of the permanent filter once. In the same way that coffee tastes better through a heavy duty filter rather than a cheap filter, this machine produces a finer taste when you add a paper filter. But I fooled around with #2 filters and regular small pot filters and came up with a solution as the filter basket really just needs a cover. No more worrying about paper filters. I also use a filter, which will reduce the amount of grounds in your cup (though pouring it into the other cup helps as well). No need for those paper filters. I simply place the paper filter over the plastic filter and with my fingers, push the center of the paper filter down into the bottom of the cone.